The treadmill is a very misunderstood part of the arsenal of tools available to a triathlete. Using the treadmill, you can get a better return on your training time if you learn to use it in the right way. 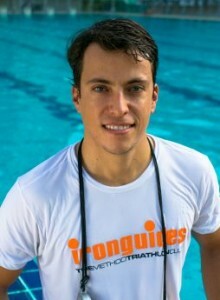 For example, one ironguides athlete turned his two-hour long run into his 1:34 long run over the course of about a year using the treadmill for specific sets including his long run. Most of the people I coach are encouraged to make heavy use of the treadmill, especially if they are based in big cities with limited access to good running venues. 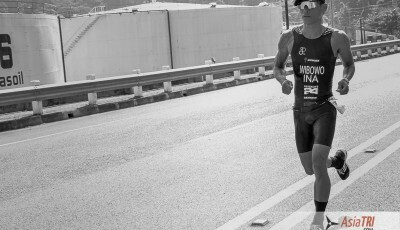 I can tell you that a few professional world champions have run almost exclusively on the treadmill for long stretches and come off running faster than ever. How does a treadmill contribute so much to improved run skills? What does this mean? It means you are getting more bang for your training buck. Yes, a 7min mile on a flat treadmill “feels” easier than a flat 7min mile on land — and it is — but remember that the context here is to run at the same aerobic load. If you can hold a 7:00min/mile pace on land for 20min, and you can hold a 6:50min/mile pace on the treadmill for 20min, that 20min run on the treadmill will give you the same aerobic training load but will teach your motor neurons to fire at a faster pace. Do this often enough for long enough and you are teaching your nerves to fire at a faster rate — your muscles follow suit and learn to contract at a faster rate. You run faster because you’re training more than just your aerobic system. 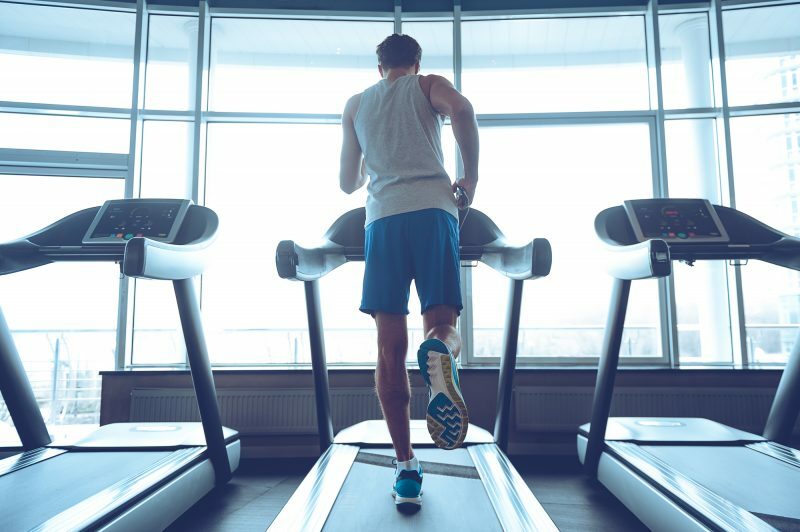 As you come to better feel and understand the usefulness of this approach, you can come to use the treadmill then to simulate triathlon running more closely. 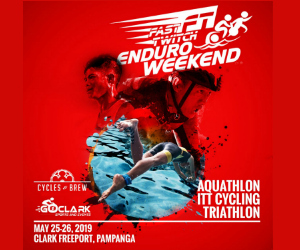 You can make use of the gradient option, a nearby spin bike or weight machines to strip the strength from your legs and force yourself to run fast on tired legs. 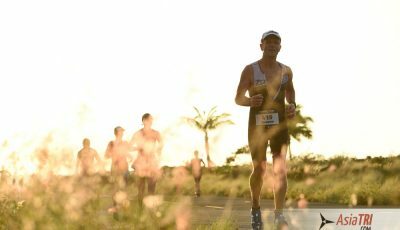 As long as you approach the session with the underlying goal of running with best-possible form (don’t get lazy or sloppy), you can quickly improve triathlon-specific run skills. There are all kinds of ways of doing this outside, too. By enabling you to closely control the variables (wind, gradient, surface), the treadmill lets you better monitor improvement over time and get a better feel for how your body responds to changes in your training environment: Sleep, nutrition, life stress and so on. 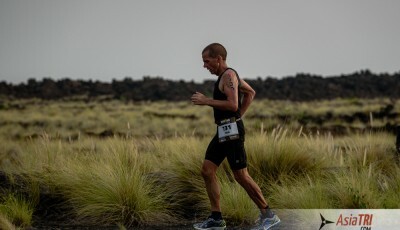 Over time, you develop a better intuitive feeling for your training state of body and mind and as your training career progresses, you can use your past sessions to compare current treadmill performances in certain sets and immediately see where your fitness level is without having to test yourself over race distances. So getting back to your question: Running on a flat treadmill at the same pace as on windless, flat land (hard or track or similar surface) is easier to maintain. But by inverting that standard way of perceiving the situation and asking: Does a treadmill allow me to hold a faster pace at no extra aerobic burden? 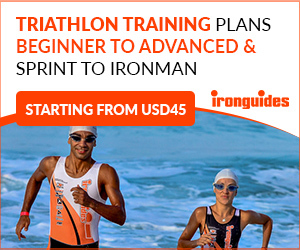 you can come a step closer to making use of some great tools and structuring your training in a way that makes your training much more effective and specifically useful for triathletes.